Fill out our simple form and get quotes from local mobile caterers. Mobile catering is a great option when you have an outdoor event or want something a little bit different for your celebration. 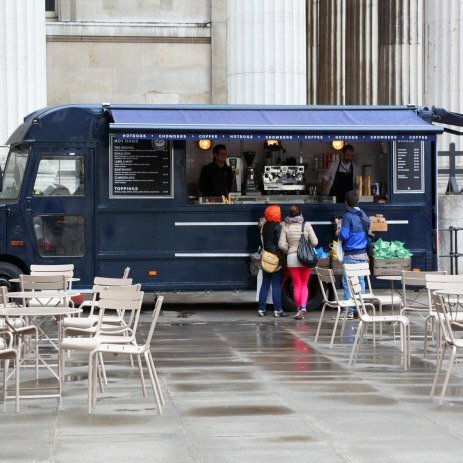 We have selected a wide range of mobile caterers, from coffee to crepes, hot dogs to hog roast, you’ll be sure to find the perfect mobile supplier to make your event special. Submit your free quote request today or browse our suppliers below. Full mobile catering service for many types of event. 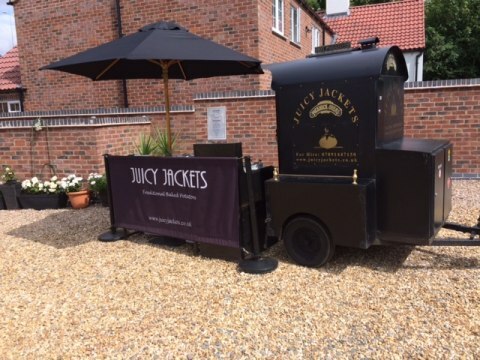 Juicy Jackets can provide jacket potatoes via a specially made mobile catering oven in and around Leicestershire. They have 13 hot or cold jacket potato fillings to choose from and can serve at events of almost any size, up to and including 500+ people. Juicy Jackets serve at 40-50 weddings annually and also provide a specialist free range hog roasting service using their hogmaster roasting machine for those extra special occasions. In order to provide the best quote possible, details of your event along with the date it is to take place are very helpful. We will also need information regarding the estimated number of people you are looking to cater for as well as a location. The more information you provide, the better. This way we can provide a full breakdown of what we offer as well as a fully inclusive comprehensive quotation. 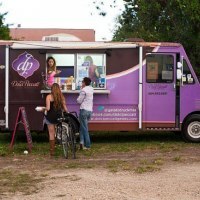 If you are looking to hire a mobile caterer then check what kind of option you are looking for. 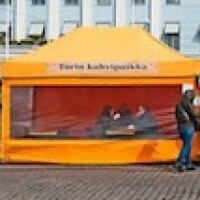 Are you looking for something unique, relaxed and informal - or something more formal and comprehensive? Always check their website - have they got lots of images of jobs they have carried out? This is an excellent way of gauging the popularity of a caterer. Ask for testimonials and reviews, and also ask whether they have the contact details of those reviewers. If they're genuine and authentic - they will be able to provide them. Juicy Jackets was formed to create a unique catering option primarily for the corporate sector. We have been operating since 2009 and our passion has always been about proving freshly cooked quality food. Equally important is how we look and the service we offer. A strong emphasis is put on our appearance and this has branched out into our wedding bookings and private parties. This approach and continual insistence on high standards has ensured that we maintain our reputation as one of the best concept caterers around. We have secured a number of bookings through Add to Event with our mobile catering unit. Including a corporate event three years back to feed a whole factory on their annual company day (500+ people). The company has used us every year since then. We also secured a booking for a private party in Bath with our Ultimate Catering Combo package. Along with this, we took a booking through Add to Event to cater at a 60th birthday party in Leicestershire with our combo package. 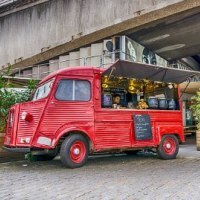 Everyone’s event is unique and everyone wants something a little different for their party, and a mobile caterer can be an easy and cost effective way to achieve this. Our wide range of mobile caterers are specialists in their area, whether that be savoury delights, delicious drinks or sweet treats, they are the best people to provide a great service and some fantastic food and drink for your event. Flexible and hassle free mobile catering vans are a perfect option for an outdoor event or for food enthusiasts who enjoy street food and alternative options. Browse our suppliers or request a quote from mobile caterers in your area.